Peacefully at Lee Manor Nursing Home on Friday, July 27th, 2018 in her 100th year. Amelia, loving wife of the late Theodore. Beloved daughter of the late William Henry and Violet Ellen (nee Gilbert). Amelia will be fondly remembered by many family and friends. 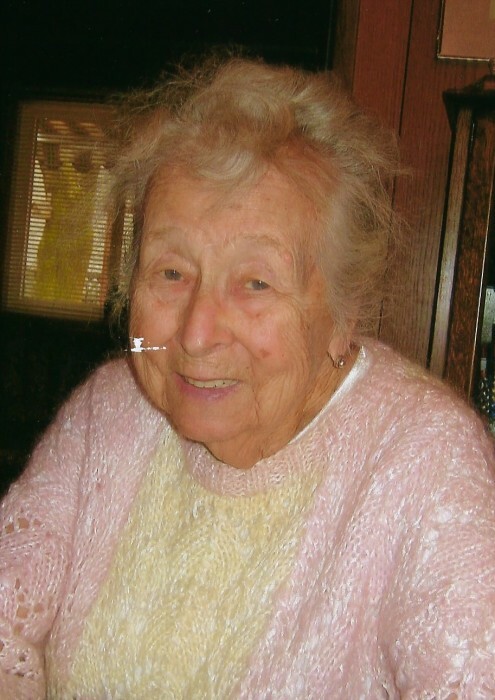 Amelia was a long-time volunteer at GBHS Owen Sound, an avid lawn bowler at Rose Lawn Club and a curler. She was a proud and dedicated member of the First United Church Owen Sound, never hesitating to help those in need. Friends will be received at the First United Church, 435 21st Street West, Owen Sound on Wednesday, August 1st, 2018 from 10:00am until the time of the funeral service at 11:00am. Interment Greenwood Cemetery. Memorial donations to the Owen Sound Hospital Foundation, First United Church Owen Sound or the Lee Manor Residents Fund would be appreciated by the family.